As prognosticators continue to fine-tune their projections regarding how many seats Democrats will gain in the U.S. House this November, the party hopes to run up the score in Northeastern states such as Pennsylvania, New York, and New Jersey where more than 10 seats are in play. In the Garden State, Democrats are already favored to flip the open seats of long-serving retiring congressmen Frank LoBiondo of the 2nd CD and Rodney Frelinghuysen of the 11th. Two other Republican incumbents find themselves in competitive, toss-up races: two-term Representative Tom MacArthur of the 3rd CD and five-term congressman Leonard Lance of the 7th. Only 19-term incumbent Chris Smith of the 4th CD seems assured to hold his seat for his party. Democrats currently hold a 7-5 seat edge in New Jersey’s U.S. House delegation and are now poised to leave the GOP with its thinnest representation in the nation’s lower legislative chamber in over a century. Smart Politics reviewed the more than 900 U.S. House elections in New Jersey since the formation of the Republican Party in the mid-1850s and found that if Democrats flip three seats in 2018 Republicans will elect its fewest members to the chamber since the Election of 1912. 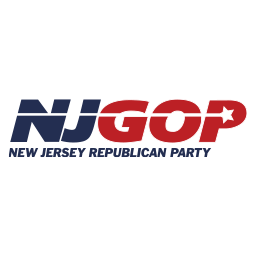 The last time New Jersey Republicans won less than three U.S. House seats was more than 100 years ago – during the 1912 wave election that saw Democrats net 61 seats nationwide and win the presidency for the first time in 20 years. Democrats had a 7-3 seat advantage in the state heading into the 1912 cycle and proceeded to win two new seats awarded after reapportionment, pick off one incumbent (Wildwood Mayor Jacob Baker unseated 10-term congressman John Gardner by 10.2 points), and win one open GOP seat (former state legislator Allan Walsh beat William Blackman by 15.7 points). That left Republicans with just one of the state’s 12 seats (the 1st CD, where freshman William Browning won his second of five terms). However, Republicans only had one representative for the first 13 months of the 63rd Congress: Browning was then joined by GOP banker Dow Drukker in April 1914 after a special election in the 7th CD following the death of 39-year old Democratic freshman Robert Bremner two months prior. The party would seat a third member in the 63rd Congress when former congressman Richard Parker won a special election in the 9th CD in December 1914 following Democrat Walter McCoy’s appointment to the D.C. Supreme Court. [Parker had also won election to the 64th Congress a month earlier in the November general election]. Beginning with the 1914 election, New Jersey Republicans have won no fewer than three U.S. House seats and claimed at least five seats in 49 of the 52 subsequent cycles through 2016. The only other cycle in which the GOP failed to win two seats since the formation of the party was in the Election of 1862 when former Democratic assemblyman George Middleton picked off John Stratton’s open 2nd CD seat en route to his party winning four of five seats that cycle. Republicans only held John Nixon’s open 1st CD seat. Republicans also won two seats five times when the state had five U.S. House seats (1856, 1858, 1860, 1864, 1868), twice when it had seven seats (1874, 1890), and once when it had eight (1892). The potential four-seat gain by the Democrats against the GOP in 2018 would not quite set a party record. New Jersey Democrats also flipped four GOP U.S. House seats in four cycles – all during national party waves: in 1874, 1910, 1964, and 1974. Overall, Republicans have won 506 of the 916 U.S. House general elections since the party first fielded nominees in the state in 1856 (55.2 percent). Previous: Is the Footprint Fading for Minnesota 3rd Party US House Candidates? Next: Which States Have the Largest (and Longest) Streaks Fielding Candidates from Both Major Parties in US House Races? 3 Comments on "New Jersey GOP US House Candidates Bracing for Worst Cycle In More Than a Century"
Minor correction: Walter I. McCoy was appointed in 1914 to the U.S. District Court in the District of Columbia, not the U.S. Supreme Court. Thanks for pointing out this typo – text corrected above. Specifically, “Supreme Court of the District of Columbia” as it was originally named (1. the confusion is quite understandable; 2. I gather that very few – if any – US house members who were not also elected to the senate or other more prominent office ended up serving on the SCOTUS; Walter Irving McCoy certainly did not).